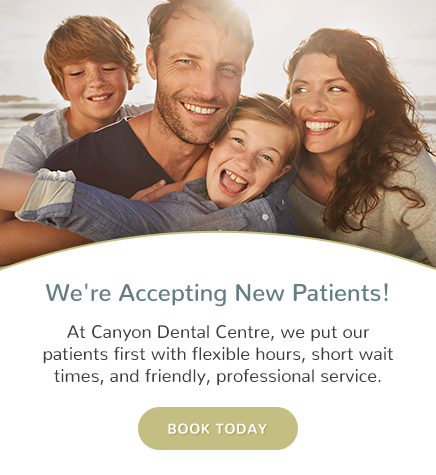 Canyon Dental Centre also provides emergency dental services for patients. Call us to book an emergency appointment at our North Vancouver dentist office. When you have a dental emergency in North Vancouver, please make sure you call us as soon as possible. Our staff is always here to help! We can get you the treatment and pain relief that you need to feel better. When it comes to dental emergencies, we know that fast service is key. We will do what we can to ensure that you receive the care that you need to help with your dental pain. If you have a dental emergency, contact the team at Canyon Dental Centre and we will provide you with the care you need as soon as possible. A healthy smile is integral to overall wellbeing, and achieving life-long oral health starts with a smart prevention plan. This includes regular visits to our office for professional cleanings, and a consistent and thorough at-home brushing and flossing routine.